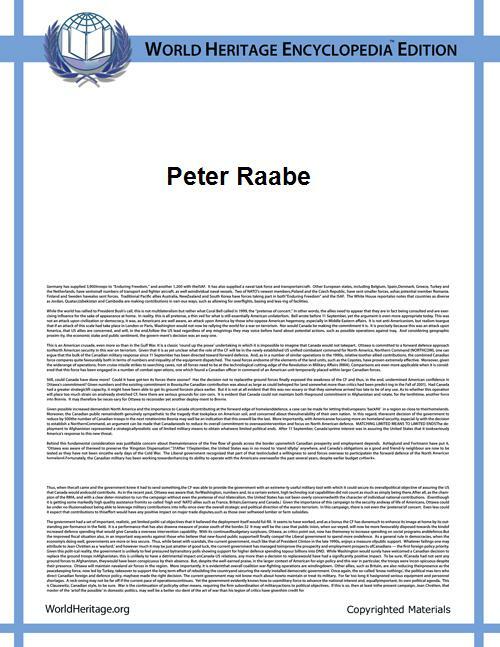 Peter Raabe (27 November 1872, Frankfurt an der Oder—12 April 1945, Weimar) was a German composer and conductor. Graduated in the Higher Musical School in Berlin and in the universities of Munich and Jena. In 1894-98 Raabe worked in Königsberg and Zwickau. In 1899-1903 he worked in the Dutch Opera-House (Amsterdam). In 1907-20 Raabe was the 1st Court Conductor in Weimar. Raabe has been giving performances in the United Kingdom, Belgium, Netherlands etc. On 19 July 1935 Raabe superseded Richard Strauss on the office of the president of Reichsmusikkammer, the Nazi State Music Institute. For almost ten years Raabe directed the music activity of the Third Reich. First to provide a complete Chronology of Franz Liszt works.